Professor Mary Daly of University College Dublin traces the history of the names used for different parts of the island of Ireland over the last century. The historian, political commentator, or casual reader may find the multiplicity of names used to describe the independent Irish state rather confusing, but these names reflect disagreements over sovereignty, territory, and identity, and they are best understood in the context of the changing relationship between Britain, Northern Ireland, and independent Ireland over the past century. Ireland is the name of an island, consisting of thirty-two counties, which is divided into four provinces (though these provinces have little more than historical significance). Ulster, a historic province with nine counties, comprises the most northerly part of the island. When the United Kingdom Parliament introduced an Irish Home Rule Bill in 1912, providing for a devolved government in Dublin, a significant proportion of the population of Ulster wished to remain part of the United Kingdom. The 1920 Government of Ireland Act established two devolved administrations – Northern Ireland consisting of six of the nine Ulster counties, and Southern Ireland, consisting of the remaining twenty–six counties including three Ulster counties. This settlement was superseded by the 1921 Anglo-Irish Treaty – which was described as Articles of an Agreement for a Treaty between Great Britain and Ireland – despite the fact that Northern Ireland neither negotiated nor signed that agreement. The Treaty led to the establishment of the Irish Free State on 6 December 1922 , which for twenty-four hours included the entire island, but on 7 December 1922 the Parliament of Northern Ireland exercised its right to opt out of the Irish Free State. The initial draft of the 1922 Irish Constitution which was approved in the summer of 1922, referred to Ireland, but the British authorities insisted that this be changed to Irish Free State, or in the Irish language, Saorstat Eireann, though the formal report of the League of Nations in 1923 referred to Ireland, but styled W.T. Cosgrave as President of the Irish Free State. The election of 1932 returned a government led by Fianna Fail that was determined to remove the residual restrictions on sovereignty in the 1921 Anglo-Irish Treaty. A new constitution approved in 1937 gave the name of the state as ‘Éire, or in the English language Ireland’. Britain and Northern Ireland regarded this as asserting a claim over the entire island. Article 2 of the constitution stated that ‘the national territory consists of the whole island of Ireland’, though this was qualified in article 3, which stated that ‘pending the re-integration of the national territory’, the laws would only have effect over the area constituted by Saorstat Eireann. Britain and Northern Ireland adopted the practice of referring to the state as Eire (without the accent) and the British authorities went to considerable lengths to prevent international organizations from using Ireland to denote the twenty-six county state; these low-key disputes lasted for decades. The 1948 Republic of Ireland Act, which was introduced by a coalition government of all the political parties except Fianna Fail, led to further confusion over the name of the state. Section two of the Act declared that ‘the description of the State shall be the Republic of Ireland’, though Ireland remained the name given in the constitution. A directive from the Irish Department of External Affairs stated it was their policy to ensure that Irish Republic or Republic of Ireland should not become synonymous with the twenty-six county area. Britain hoped to use Republic of Ireland in place of Eire, but the government of Northern Ireland raised strong objections to this – if Eire was not to be used, they preferred the term Irish Republic to Republic of Ireland. At this time the government of Northern Ireland also sought to change the official name of their state to Ulster, but the British authorities did not approve. The Irish government was loath to use the term Northern Ireland, because it was seen as conferring official recognition on partition. They preferred the terms Six Counties or the North of Ireland (a term which is still used today by Sinn Féin politicians). In the 1960s, however, the Irish government gave instructions that Northern Ireland should be used by government ministers and officials: this gestures was part of Taoiseach Sean Lemass’ efforts to improve relations between the two Irelands. The Irish government also avoided referring to the United Kingdom of Great Britain and Northern Ireland, and it is only in recent years that the term United Kingdom has been used by government ministers and officials. The term British Isles was equally anathema, and they sought to have it removed from various atlases and other international documents. These ‘word wars’ had some practical implications – there were prolonged difficulties over the title President of Ireland in the letters of accreditation presented by UK or Commonwealth diplomats: the compromise was to refer to the President by name, without specifying the title, and likewise for Irish diplomats to present letters addressed to the British monarch, giving his/her name but without any descriptive title, but there was no exchange of ambassadors between Australia and Ireland for more than a decade because the Commonwealth of Australia refused to accept these arrangements. By the late 1960s, however, Britain was the only country not to refer to the state as Ireland, and in January 1973 Ireland became a member of the EEC and is called by that name by other members of the EU. Under the 1998 Good Friday/Belfast Agreement the Irish government agreed to remove articles 2 and 3 of the 1937 constitution. In 1999 the Diplomatic List issued by the UK Foreign and Commonwealth Office referred to the Republic of Ireland, but in 2000 and subsequent years it referred to Ireland, and the credentials of British ambassadors were addressed to the President of Ireland. The Irish Diplomatic List continued to refer to Great Britain until 2001, since then it has referred to the United Kingdom. However, this change in practice has not been universal; many Northern Ireland politicians and some public officials continue to refer to the Irish Republic/Republic of Ireland and there has been some evidence of a reversion to Republic of Ireland by the British government. In many quarters, however, Ireland and Northern Ireland are the terms most commonly used, and United Kingdom is increasingly used in place of Britain, though populist Irish commentators continue to refer to ‘England’, ignoring Scotland and Wales. The choice of names used by politicians and media in Britain, Northern Ireland, and Ireland are not accidental. 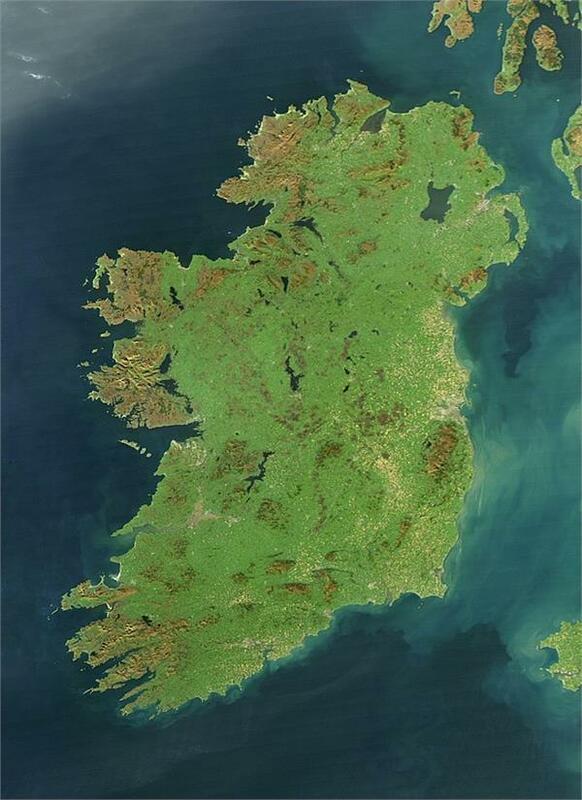 Ireland is the name of the state, and it no longer conveys a territorial claim on Northern Ireland. When Irish politicians refer to the United Kingdom it is an acknowledgement of the union between Northern Ireland and Britain. These nuances may escape the general public, but they carry considerable political weight, and can be read as a reflection of the current state of relations between these entites. Mary E. Daly is Professor Emerita in Irish History at University College Dublin. She was President of the Royal Irish Academy 2014-17, and is a member of the Irish Government’s Expert Advisory Group on Commemorations. Her most recent publications are Sixties Ireland: Reshaping the Economy, State and Society, 1957- 1973 (Cambridge University Press, 2016) and The Cambridge Social History of Modern Ireland (2017), which she co-edited with Eugenio Biagini. This paper draws on her article The Irish Free State/ Éire/Republic of Ireland/Ireland: “A Country by Any Other Name”? Journal of British Studies, Volume 46 Issue 1, January 2007. Very informative ... I knew much of this only vaguely. Ironically ... when signing up for this blog I note there is no 'Ireland' option available to denote one's nationality! Either 'Irish Republic' or 'Republic of Ireland'. I am from Northern Ireland and I am catered for! Although I also not there is no border on the map of Ireland accompanying the article! Apologies ... the drop-down box indicates one's 'country of residence' and not 'nationality'! And an 'e' missing ... ! It would be useful to get a similar briefing for th other island and the island group. The Values statement uses 'Britain' in ways that seem to me very odd and inconsistent with the rest of the statement. "these-islands" is either a provocative claim to Ireland, or else the values statement and some of the papers are missing the important words "and Ireland". You need some kind of House Nomenclature Policy that respects all parts of "these-islands", or barring that a clear policy that doesn't respect everyone, but that is at least straight-up about it. I add my name to the complaint about "Irish Republic" on the registration form. My understanding is that use of that phrase is a recognition that the Army Council of the IRA is the legitimate Government of Ireland, with whom I wish to have no association. It's also used to de-legitimise Ireland from the other direction by unionists in Northern Ireland. The name, as the Briefing above indicates, is Ireland. Professor Daly - Did sovereignty actually transfer from UK to Ireland for those 24 hours or was the transfer of sovereignty left pending until the decision of the Stormont Government?